What a wonderful jewel, and I love the color combination of all these photos. Thanks for sharing. Coral is always a successful color! Beautiful color choice, so soft and delicate! Beautiful ring! I love how the rose varies in color! So delicate and beautiful! Fabulous collage as always! 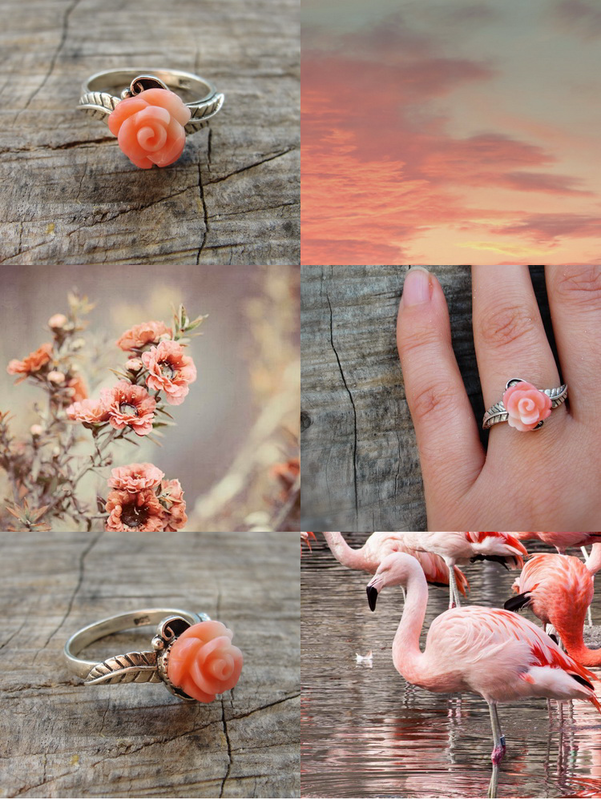 lovely coral tones, sweet ring. Also love the mood pics selection. Beautiful new ring and collage. Beautiful pictures and lovely ring! Ahhh I love the colours!